Home | Fanart! | About Me | Favorite Game | Tips and Cheats | Ask Any Sonic Character or Anime Character!! 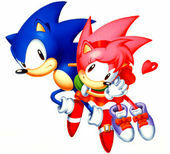 | ~*Sonic and Amy*~ | Contact Me | Links | Link Me! I got a new computer!!! YAY! See..my parents had new computers before because mine was dead and they needed it for business which gave me no time do anything...but...now i have this super duper Bob!!! It is the newest Dell they had with a 19' in. moniter and all sorts of lil trinkets! i love it and it loves me. Now...Tailsy's Shrine is going to extreme!!!!!!!!!!!!! I've been doing some major updates around the site todayyy! im going to be answering any video game or anime character questions...heyyy i need to get this site really going since i hope santa clause is getting me a ps3 and the new sonic game :) please keep supporting my site everyone!!! We've got the Emerald so we're going to make Tailsy's Shrine Perfection!! !